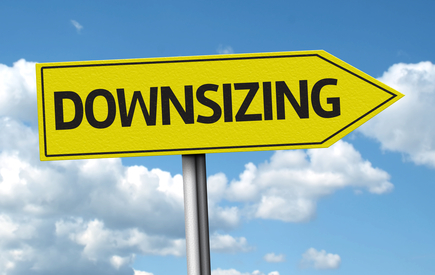 All employers big and small will eventually need to do a layoff or company restructuring. The process can be daunting. If done wrong, it could bring even more trouble to an already struggling organization. Feeling overwhelmed is normal. You have so many decisions to make, and not enough time, or resources, to make sure everything gets done right. This checklist will serve as your one-page reminder for everything you need to do when conducting a layoff. Read below, and download here. Which departments, locations, or product/service arms will be affected by the layoff? Criteria: Will you choose by performance, job redundancy, or seniority? Legal considerations: Inform decision makers of potential landmines, such as choosing based on religion, race, gender, or nationality. Employee selection based on performance must correlate with documented employee performance and bonuses previously provided. Assess tentative employee selection to uncover possible issues missed, such as employees chosen due to age (over 40), minority races, gender, pregnancy, and other potential issues. Were employees given an “employment-at-will” contract? Were they promised any tenure or some sort of job security? While entry-level employees may have roughly the same contracts, C-levels and managerial employees have varying job agreements. Did any of the selected employees sign an agreement regarding intellectual property or inventions? Verify any employment promises made, whether oral or written, to ensure you’re not exposing yourself to any legal liabilities. A layoff consisting of one-third or more employees, or a minimum of 50 employees, is considered a “mass layoff.” If your company has 100 or more employees, you need to provide at least two months (60 days) of notice when conducting a mass layoff. There are some exceptions to the rule, but 60 days is the notice required for most businesses. If you can’t give a notice, you are required to pay an equivalent of 60 calendar days of pay. For more information on Federal laws and WARN, click here. Your employees have served you well up to now. Help them transition well into finding a new job by providing career counseling, coaching, and job-seeker assistance. Doing this will reduce employee backlash and preserve your reputation as a good employer. Prepare severance documents to be given to selected employees. If you’re working with an outplacement provider, they may help you assemble this package. In general, the documents include the letter of termination, checklist to claim benefits, and layoff procedures. It should include everything the employee needs for a smooth transition. Consistent communication is important to avoid panic and confusion. Prepare a communication plan that’s consistent for displaced employees, remaining employees, and the press. While this is a lengthy checklist, there’s still a possibility it doesn’t include everything you need. Be sure to check and verify all the legal requirements in your state by consulting your Human Resources department and your attorneys.